Once again, Galaxy Scientific is please to announce that we will be partnering with Quantum Analytics to present a live webinar discussing the benefits of FT-NIR analysis for edible oils. 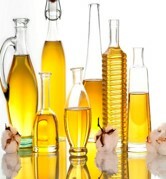 Fats and edible oils are recognized as essential nutrients in human diets and are presented in varying amounts in many foods. They not only provide the human body with a concentrated source of energy, but also supply essential fatty acids that are precursors for important hormones.